Taste one, and you'll find yourself going back for more until the jar is empty. 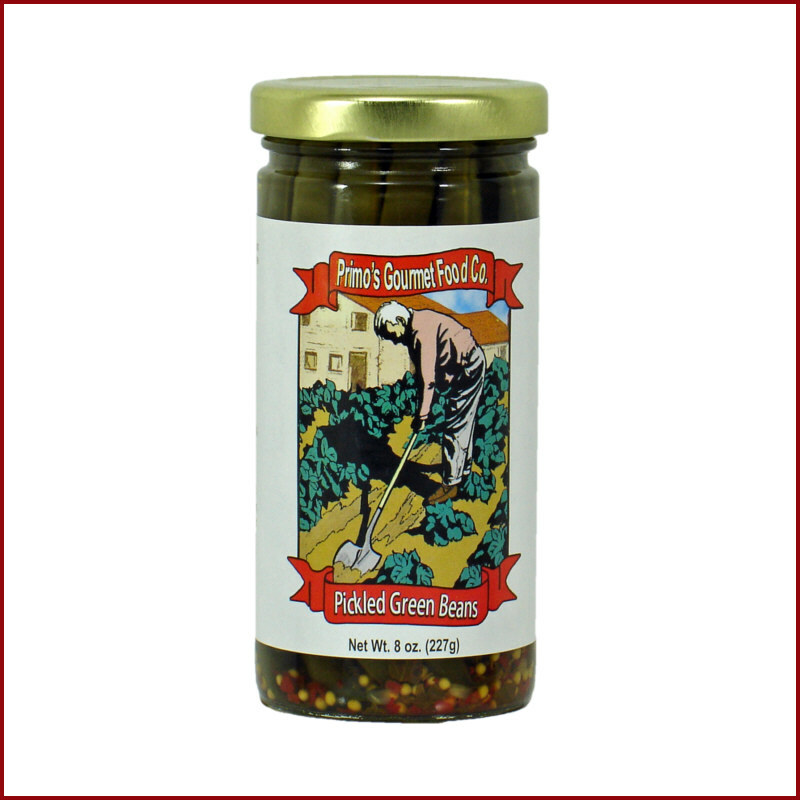 Primo’s just-picked Pickled Green Beans are packed in water and vinegar with garlic and a special blend of dill and spices for a taste that's great right out of the jar. 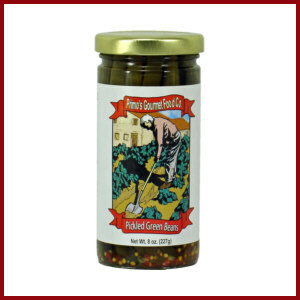 If you're inclined, try them on sandwiches, pizza or as a clever swizzler for Bloody Marys.